I don't think my baby will even wear these jackets I've been making, but I'm doing all these baby clothes now so I can learn more about crochet. The pattern is on page 77 in a book my mum lent me called "Crochet with Style", published by Murdoch Books in 1990. For this I used some really nice white wool my mum gave me for my birthday. I've learnt a lot from from doing this jacket. It looks simple enough , but the challenge was interpreting the pattern for the shaping in the bodice and sleeves. As it was, I made a mistake in the front right yoke, so repeated it on the left side so at least they matched! I know what I did wrong. When the pattern said to repeat 3 more rows, I should have just done plain rows instead of decreasing like the previous row. I'll know better next time! I tried a red ribbon and some very cute strawberry buttons I bought years and years ago but have never used , but have settled on some lovely silky yellow ribbon, also given to me by my mum. I do have some white ribbon but it is a different white so didn't match. I could change the look of this set again and get some blue ribbon if I wanted. I found the sleeves a real challenge and am quite proud that I figured it out! To join seams I usually use a crochet hook and dc, but that made this too bulky. So I undid the dc and sewed the seams with a yarn needle for a less bulky finish. And for these seams I did something I've not had to do yet with crochet - I actually pinned the pieces together first before sewing! I'm quite pleased and surprised these sleeves worked out. These are the first shaped sleeves I've done, and doing this has helped me learn more and makes me think I might be able to do an adult cardigan one day. The bonnet was fairly straight forward, as were the booties. For the booties, the pattern gets you to fasten off twice, as the bootie is not all in one piece, but it wasn't too bad. I just left a length of yarn and used that to sew up the seams at the sole. This was really nice to do, and was a pleasant surprise that I was able to complete it without any help which I thought I would need, especially with the jacket. And I don't know who will ever wear this. It's a newborn size, yet my baby is due in the summer, and my guess is, it's going to be a hot one! At least I learnt more about crochet by doing this exercise, which can not be a bad thing at all! You've done a terrific job, your work is beautiful. 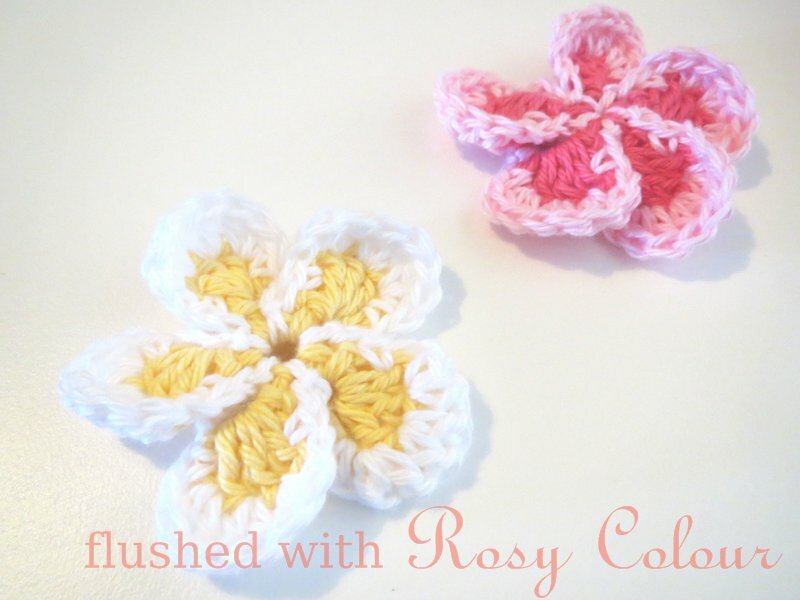 I struggle to crochet a few flowers so well done!